FT. WORTH, Texas – (April 30, 2018) – Galderma, a global leader focused on medical solutions for skin health, announces positive results from OSCAR, a phase 4 trial, a multicenter, randomized, investigator-blinded, vehicle-controlled, intra-individual comparison study (right/left half-face).1 The purpose of OSCAR was to evaluate the efficacy of Epiduo® Forte (adapalene and benzoyl peroxide) Gel, 0.3%/2.5% in the treatment of moderate-to-severe acne and to understand if, by decreasing active acne lesions, Epiduo Forte Gel could thereby decrease the risk of atrophic (depressed) acne scars.1 The OSCAR results were published in the American Journal of Clinical Dermatology. Corporate Communications, Galderma Laboratories, L.P. 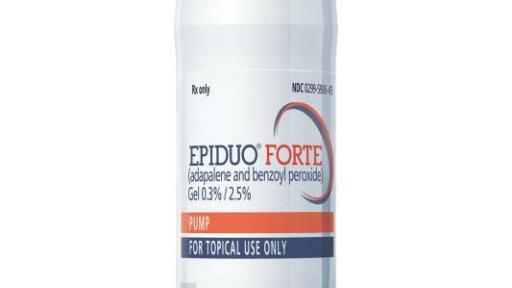 Indication: Epiduo® Forte (adapalene and benzoyl peroxide) Gel, 0.3%/2.5% is indicated for the topical treatment of acne vulgaris. 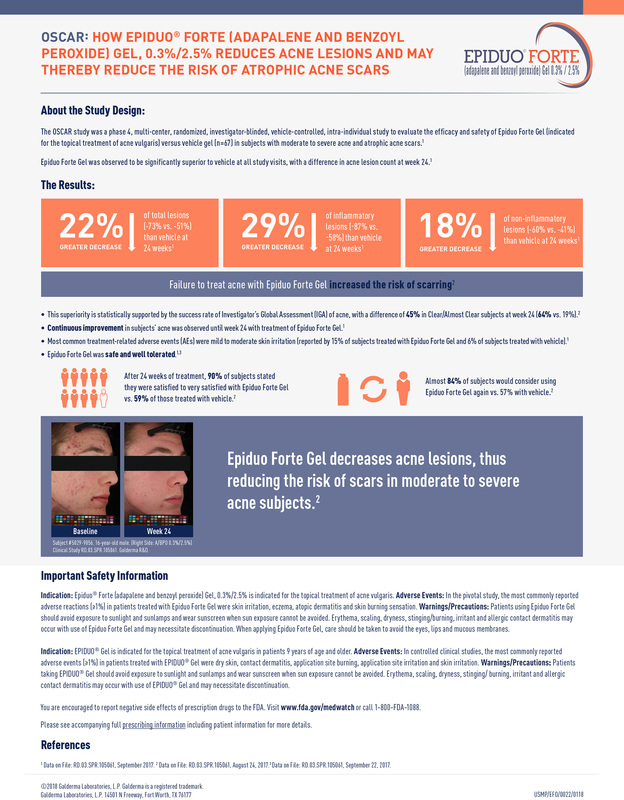 Adverse Events: In the pivotal study, the most commonly reported adverse reactions (≥1%) in patients treated with Epiduo® Forte Gel were skin irritation, eczema, atopic dermatitis and skin burning sensation. Warnings/Precautions: Patients using Epiduo® Forte Gel should avoid exposure to sunlight and sunlamps and wear sunscreen when sun exposure cannot be avoided. 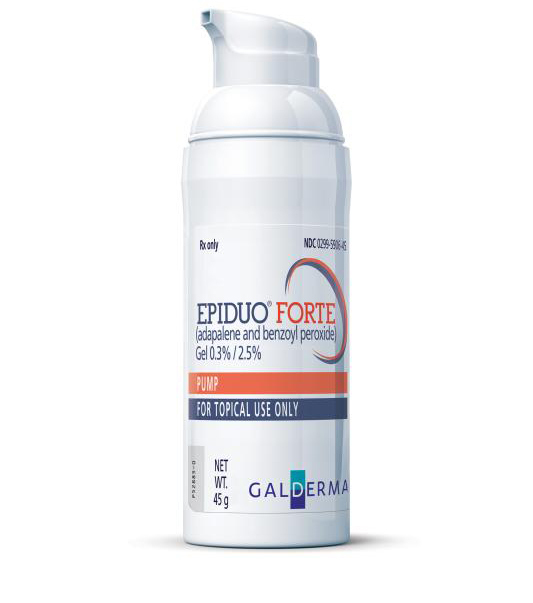 Erythema, scaling, dryness, stinging/burning, irritant and allergic contact dermatitis may occur with use of Epiduo® Forte Gel and may necessitate discontinuation. 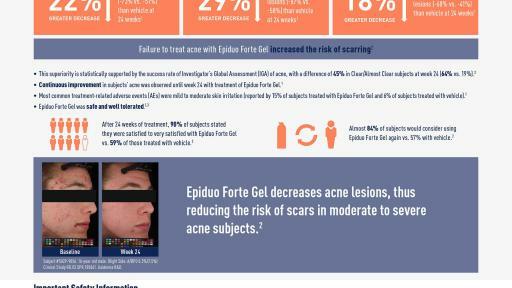 When applying Epiduo® Forte Gel, care should be taken to avoid the eyes, lips and mucous membranes. ©2018 Galderma Laboratories, L.P. All trademarks are the property of their respective owners. 1 Data on File: RD.03.SPR.105061, Statistical Report – Part 1. September 2017. 2 Data on File: RD.03.SPR.105061, Tables 14.2. August 24, 2017. 3 Data on File: EPI.P-RD105061-04. OSCAR Study Poster, Dreno. Hawaii Dermatology Meeting, 2018. 5 Dréno, Brigitte, et al. 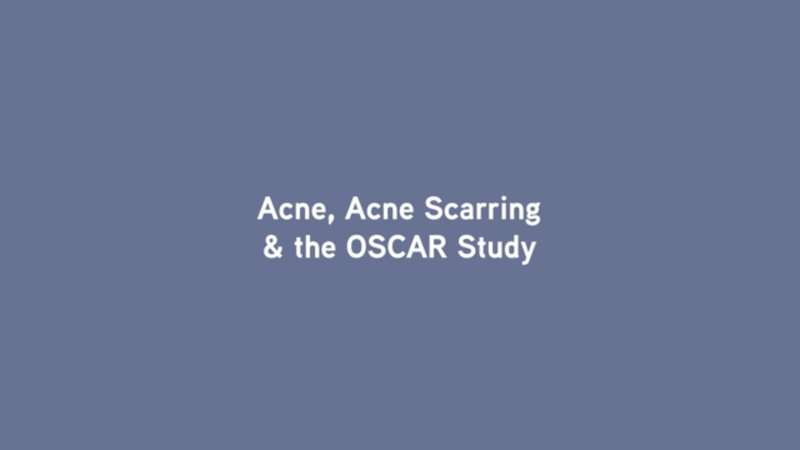 Prevention and reduction of atrophic acne scars with adapalene 0.3%/benzoyl peroxide 2.5% gel in subjects with moderate or severe facial acne: results of a 6-month randomized, vehicle-controlled trial using intra-individual comparison. Am J Clinical Dermatol 2018: 1-12. 7 American Academy of Dermatology. Acne. https://www.aad.org/media/stats/conditions. Accessed March 19, 2018. 9 Magin, Parker, et al. Psychological sequelae of acne vulgaris: results of a qualitative study. Canadian Family Physician. 52.8 (2006): 978-979. 11 Tan, Jerry, et al. Prospective study of pathogenesis of atrophic acne scars and role of macular erythema. J drugs in dermatol. 2017:566-572. 12 Tan J, et al. 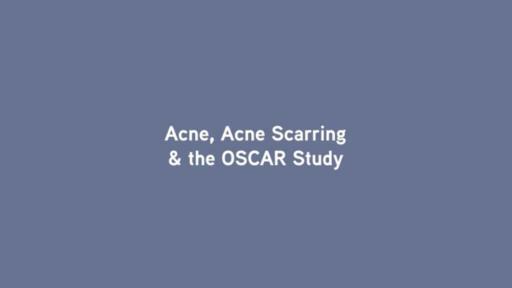 Development and validation of a scale for acne scar severity (SCAR-S) of the face and trunk. J Cutan Med Surg. 2010;14:156-160. 13 Data on File: RD.03.SPR.105061, Tables 14.3. September 22, 2017. 14 Mayo Clinic. Acne. https://www.mayoclinic.org/diseases-. conditions/acne/symptoms-causes/syc-20368047. Accessed March 19, 2018. 15 Tan J, Kang S, Leyden J. Prevalence and risk factors of acne scarring among patients consulting dermatologists in the united states. J of Drugs in Dermatol. 2 2017 16(2), p. 97-102. 16 Gupta MA, Gupta AK. Depression and suicidal ideation in dermatology patients with acne, alopecia areata, atopic dermatitis and psoriasis. Br J Dermatol. 1998;139(5):846-850.